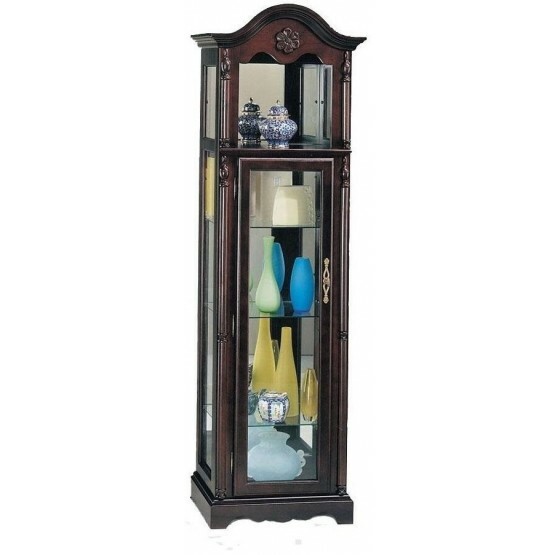 The Lindsey Collection 02349 22" Curio features glass doors. Standing for durability, it is constructed from wood and wood products. The display china comes with 3 glass shelves behind the door. 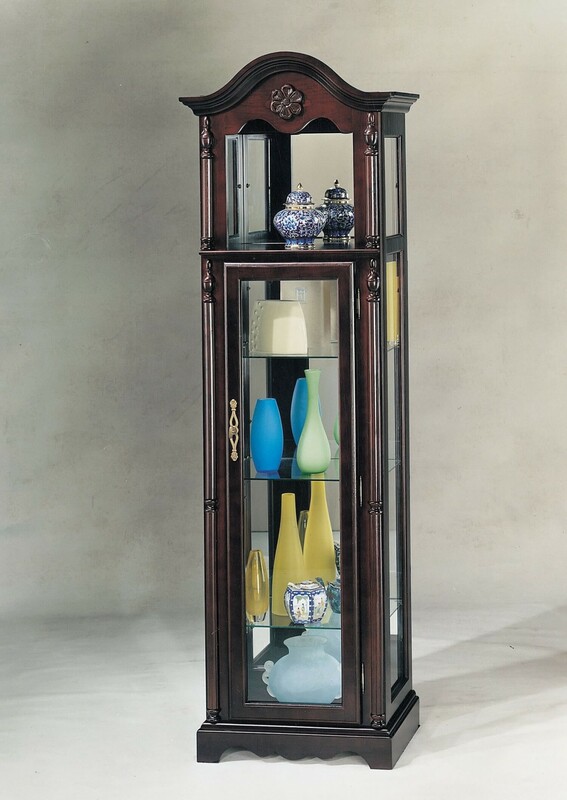 Complete a dining room with this beautiful cabinet that offers great style and function. Curio ends in extra light, while a mirrored back panel creates an illuminated look. W22" x D15" x H72"